This color combination has been on a roll and is as popular as ever. 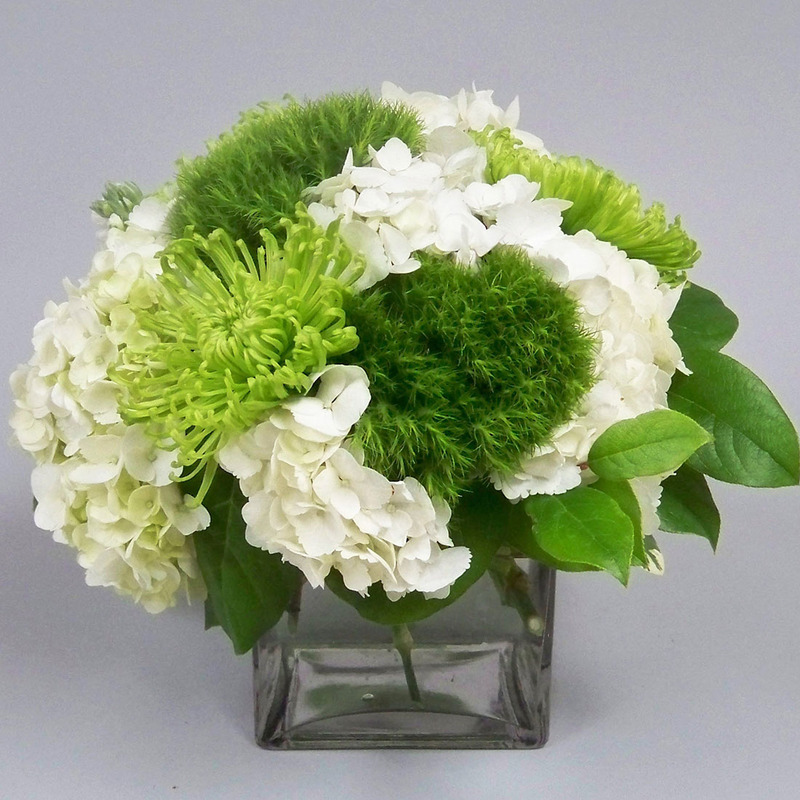 A simple design in a clear glass cube with white hydrangea, green fuji mums and fuzzy green trick. Place this anywhere around the home or office and also consider for a table centerpiece. Available in a 5 inch cube as shown and also the premium size with a 6 inch cube.